Jefferson Squats is an exercise that primarily targets the quadriceps with secondary emphasis on the gluteus and hamstring muscles. But its form, technique and execution also builds the calves, lower back, spinal erectors, traps and adductors. Jefferson Squats also activates your core muscles because you have to stabilise and support your lower back by contracting your abs. 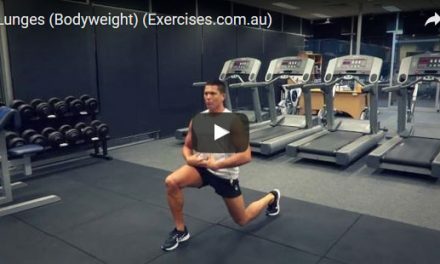 You don’t need to use heavy weights to get good results with this exercise. In fact, Jefferson Squats is a great finisher to your leg work out since it stimulates many muscle groups in your lower body. Stand over the center of the barbell with your feet more than shoulder width apart. One foot should be pointing forward and the other foot angled out. Squat down and grab the barbell using a switch grip; the underhand grip is braced alongside the inner thigh of the leg with the foot pointed forward and the overhand grip is behind the leg with the foot angled outward. Tighten your core, stick out your chest, take a deep breath then exhale. Lift the barbell by pushing through the heels of your feet. As soon as you reach the top position, begin to lower the barbell back to the ground following the same bar path. Do not bounce the barbell off the floor. Control the weight during the descent until the bar touches then rests on the floor. Repeat the movement until you have completed the targeted number of reps.
For the next set, switch your foot position. The foot facing forward should now be angled and the angled foot should be facing forward. Your quads will still be worked out but switching foot positions ensures balance of development and stability. 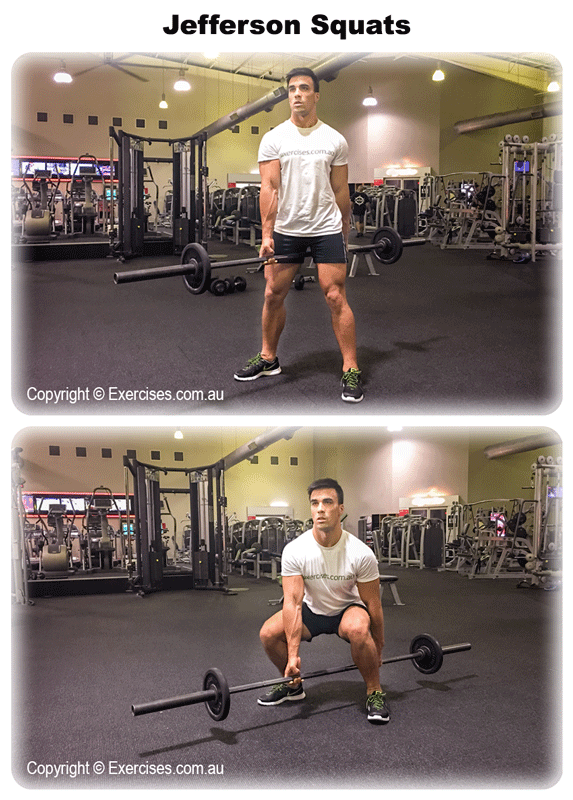 With the Jefferson Squat, you are lifting a dead weight similar to the Deadlift. You do not have the advantage of applying forces on the bar as you would during the descent of the squat or bench press because you are starting the movement at the bottom position. Therefore, it is not advisable to lift heavy weight. Before starting the lift, make sure your arms are straightened out. Think of your arms just as hooks. It should remain straightened out and relaxed throughout the movement. Wear shoes that have a flat or stable heel to maintain more foot contact with the floor. Running shoes are too soft and may cause your feet to shift during the movement.